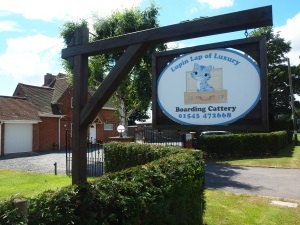 I opened my original cattery in August 1994 after many years working as a volunteer for a national cat charity caring for many rescued, neglected and unwanted cats and kittens, however in February 2012 I moved and had a new cattery constructed. During your cats’ stay they will receive 1 to 1 attention as I employ no staff. I am trained in small animal first aid, however should your cat require veterinary attention wherever possible your own vet would be contacted, in the event of an emergency my own vet is very nearby and on 24 hour call. 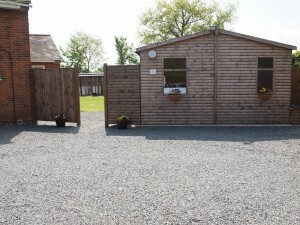 I am open all year round, 7 days a week including bank holidays 9-10am and 5-6 pm. My cattery is also heated through the winter months. Inspection welcome and encouraged so you can be assured that your cat(s) will be happy and safe during their stay. I am approved and licensed by the local authority. Copyright © Lupin Lap of Luxury - All Rights Reserved. Website By Everything PC.